Neutrik, a brand known worldwide, has more than 30 years experience in the designing and manufacturing of superior quality connection products. Continuous innovation, development and long term experience has given them the ability to adapt with the ever-developing market. 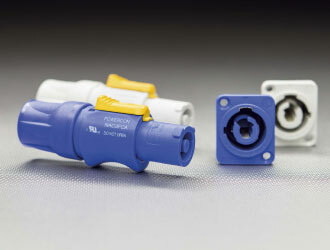 This, coupled with the use of high class materials and proven production processes, makes them the go-to brand within the industry, giving us many reasons to add Neutrik connectors to our product offering.